BBC Scotland has revealed the three new personalities that will be the voice of its new channel for Scotland, which launches in February 2019. 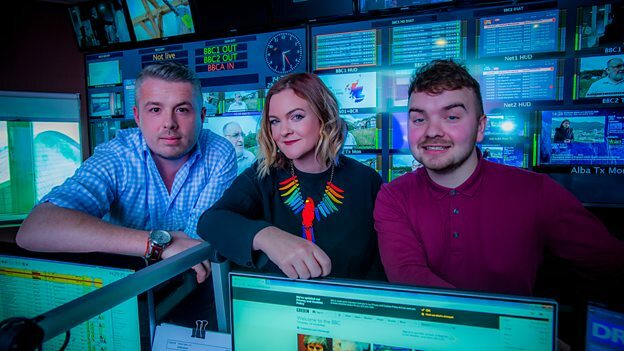 Former Capital Scotland Breakfast presenter Jennie Cook joins student Dominic Main and George Taylor, who works in marketing for The Times, as the new voices viewers will hear announcing programmes on the channel. In addition to the three new recruits, familiar voices from BBC One Scotland's presentation team will also provide cover on the new channel, launching Sunday 24th February 2019 on all main digital TV platforms in Scotland, as well as on iPlayer and satellite across the rest of the UK.